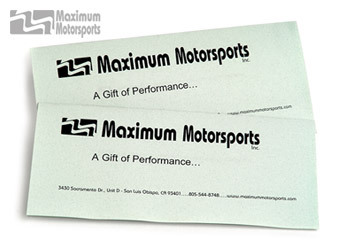 Every Mustang owner will appreciate your gift of an MM Gift Certificate. $25 MM Gift Certificate, the perfect gift for your favorite Mustang owner. No need to guess what that special someone would like for their Mustang; just send them an MM Gift Certificate. $50 MM Gift Certificate, the perfect gift for your favorite Mustang owner. No need to guess what that special someone would like for their Mustang; just send them an MM Gift Certificate. $75 MM Gift Certificate, the perfect gift for your favorite Mustang owner. No need to guess what that special someone would like for their Mustang; just send them an MM Gift Certificate. $100 MM Gift Certificate, the perfect gift for your favorite Mustang owner. No need to guess what that special someone would like for their Mustang; just send them an MM Gift Certificate. $200 MM Gift Certificate, the perfect gift for your favorite Mustang owner. No need to guess what that special someone would like for their Mustang; just send them an MM Gift Certificate. $500 MM Gift Certificate, the perfect gift for your favorite Mustang owner. No need to guess what that special someone would like for their Mustang; just send them an MM Gift Certificate. $1000 MM Gift Certificate, the perfect gift for your favorite Mustang owner. No need to guess what that special someone would like for their Mustang; just send them an MM Gift Certificate.